View the bios of most of our faculty members. Learn more about our Academic Departments and Interdisciplinary Programs. 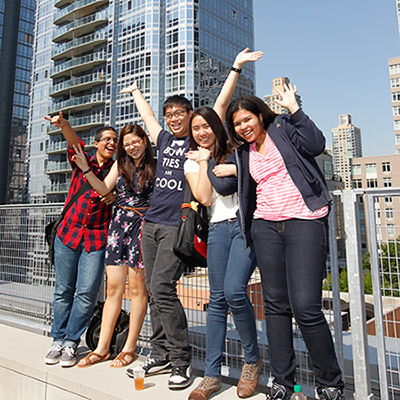 An international leader in educating for justice, John Jay College offers both undergraduate and graduate students a rich liberal arts and professional studies curriculum in a vibrant urban setting. Our academic programs help intellectually curious students pursue knowledge and put their ideas and passions to the test. We view learning as a way to inspire students to create and sustain a more just world. We attract students with diverse interests and give them the flexibility to customize their education. Our students are defined by their resilience and their motivation to build bridges between the world of intellect and imagination and the world of practice. They enjoy a unique learning experience through innovative coursework, opportunities to conduct original research, and mentorship by world-renowned faculty members. Our award-winning faculty, with expertise in a range of academic disciplines, advances research and education about justice as a broadly conceived theme that permeates almost every aspect of human existence. Through their research – which advances knowledge and informs professional practices – they offer their students unmatched opportunities for collaborative research and presentation. Undergraduate students at John Jay can choose from a range of interdisciplinary arts and science programs that balance classroom learning with practical research, internships and experiential opportunities. This helps prepare our students for meaningful and rewarding careers in both public and private sectors, and to serve the public interest as ethical leaders and engaged citizens. Graduate students at John Jay can choose from a range of nationally recognized graduate programs that are centered on cutting-edge methods of teaching, learning, research and hands-on training. These programs are geared toward advancing and connecting knowledge to real-world problems. We support all our students with abundant resources for career and professional development so they can make the most of their education at John Jay.